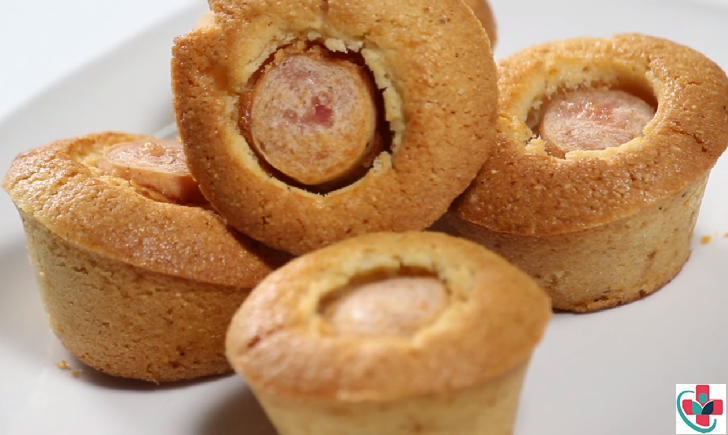 Chicken sausage pieces stuffed in the muffin batter and baked. Below is how to make them. Cream butter and castor sugar in a bowl and till smooth. Sift flour into it and mix. Sift cornmeal and mix. Sieve together baking soda and salt into and mix. Add buttermilk and whisk till well combined. 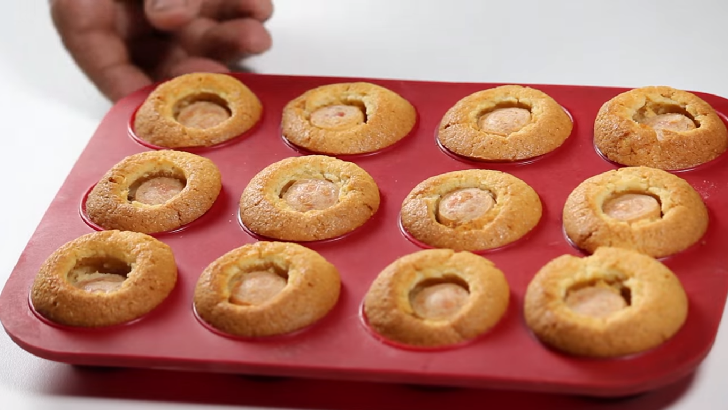 Fill a piping bag with the mixture and pipe into a silicon muffin tray. Tap it. Place a sausage piece in each mold and press it. Put sausage piece in each mold pressing it inside the batter. Put the mold in the preheated oven and bake for 15-20 minutes. Remove from heat, cool and de-mold.